Perfect Circle, the final update of my long-standing R.E.M. biography, is officially published in the UK today. Read more about it in a post I uploaded a couple of weeks back. Read an excerpt from it below. Order Perfect Circle direct from the publishers Omnibus Press, from Amazon UK, from Waterstones, or from your local independent book store, assuming you still have one in the UK. Officially the book is not ‘published’ in the USA until July; I recommend American readers not living close to an import book store order it through a British online retailer. While in Berlin, the band also sent out another (unheeded?) signal that they might be wrapping things up for ever as they took to the bars and concert halls of Berlin and invited their friends to appear on the album. Two of the guest vocalists were Canadian-born gay/bisexual musicians who had found refuge in modern Berlin’s artistic embrace. Singer/rapper/musician/ performance artist Peaches, famed for her explicit sexual subject matter (e.g. a 2006 album entitled Impeach My Bush), proved a natural addition to ‘Alligator_Aviator_Autopilot_Antimatter,’ shout-singing along to the chorus, throwing in a semi-rap dialogue and adding something approximating harmonies. 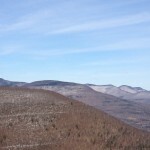 Joel Gibb of indie group Hidden Cameras was recruited to sing backing vocals on ‘It Happened Today,’ written about the death of someone close to the band (“This is not a parable, this is a terrible thing,” Stipe warned listeners with the opening line). When Pearl Jam came to Berlin for a concert, Eddie Vedder stopped into Hansa for a social visit, and left with his distinctive holler further filling the enormous phonetic chorus for “It Happened Today.” Patti Smith played Berlin a week later and, as with Pearl Jam, R.E.M. took the evening off to see her in concert, the various members joining in on various encores. Attempts to get Smith into the studio were stymied by her band’s tight touring schedule, but the idea was not completely discounted – there was still a mixing session to follow in Nashville in September, after all. A longer version of ‘It Happened Today’ than appeared on the album Collapse Into Now includes a mid-song breakdown showcasing the guest backing vocals from Eddie Vedder, Joel Gibb and others. It was no small matter that R.E.M. brought in a camera crew during that final week at Hansa. As a group that typically documented everything, it made sense to get additional mileage out of a famous studio location; given that the band had sent out firm signals that there would be no tour for the album, it was necessary to get some live footage. But for those in the know – limited, largely, to the three founding members, ‘advisor’ Bertis Downs and, having gleaned it over the course of the recording sessions, producer Jacknife Lee – it would mark something potentially much more significant: a final performance by the band. A small audience of family and friends was invited into the downstairs hall at Hansa, where they mostly sat on flight cases up against the walls; R.E.M. set up facing each other, more or less in the round, and played their way through as much of the new album as they could, as emphatically as they could. In the process, they delivered vastly more powerful, thoroughly live audio-visual renditions of what would be the album’s lead single, ‘Mine Smells Like Honey,’ ‘All The Best,’ and Alligator_Aviator_Autopilot_Antimatter’; for “Oh My Heart,” with Scott McCaughey on accordion, they huddled close together, as when they had recorded it, to the point that they were almost breathing on each other. The edits that would be shared with the public revealed a band entirely on top of its game, as powerful and present as it had ever been: Peter Buck still on treasured black Rickenbacker, swaying with the rhythm if no longer jumping around to it, Mike Mills resolutely focused on those melodic bass lines and distinctive vocals, Michael Stipe’s professorial beard, horn-rimmed glasses and work-day suit failing to disguise his complete emotional commitment, and Scott McCaughey and Bill Rieflin serving notice that for the past three years, R.E.M. had been very much a band once again. Throughout, the boom of the vast hall lent itself to a particularly resonant live sound. To all outwards intents and purposes, this was a group very much looking forward. It was the performance of ‘Discoverer’ that gave it away. The official film showed Michael Stipe’s complete giving of himself to his delivery – “It was what it was! Let’s all get on with it, now!” – before removing his glasses, always a signal of immersion in the moment, and following that line with the four further cries of the title and then the fifth and final one, drawing out its four syllables into as many measures. “Wow,” concluded Mike Mills, and Stipe blinked, grinned and led a round of applause, as the camera edits ducked and dived amongst the various band members. The camera that was fixed on Stipe’s face throughout the take, however, would prove that much more revealing of the emotional meaning: Stipe was clearly blinking away tears. “Hooray, we’re done,” he said quietly, leading the applause (the words were not included on the official video); it would appear evident that he didn’t know whether to laugh or cry. Either the man behind the camera presumed that Stipe broke into tears at the end of every performance, else he was damned good at keeping a secret. 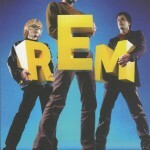 Either way, R.E.M. had just played their last gig. 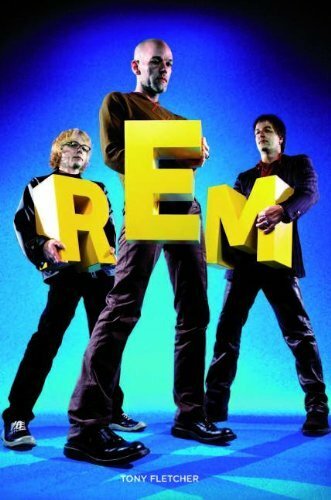 The final R.E.M. performance: ‘Discoverer,’ as filmed at Hansa in Berlin, July 2010. 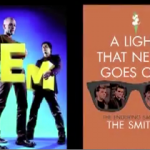 REM are my “Wordsworth , Keats , Aristotle & Socrates “. I have just spent the last four days immersed in “Perfect Circle”, with R.E.M.”s entire catalogue as reference and accompaniment. What an excellent read that was. I’ve been a fan of the band since I stumbled across Out of Time while living in Inuvik, Canada in 1991. The album quickly became the soundtrack to my Canadian Arctic experience, and was followed by most of the band’s subsequent studio recordings. Thanks to you I went back and discovered the beautiful and powerful music in their back catalogue. With regards to your book, I am impressed that you avoided putting yourself front and centre in the story – how YOU felt, how YOUR life was unfolding. Thank you for focusing on the band, their stories and their music. Kudos.